Let the Robot Wars commence. Today, Science Channel announced the TV show will make its U.S. debut in August. The UK series features robots battling it out against each other to see which is the ultimate “metal munching” machine. The original series aired on BBC2 from 1998 to 2004 and was revived in 2016. Robot Wars premieres on Science Channel on August 8th at 10 p.m. ET/PT. (New York) – More metal munching madness is headed to Science Channel as the network has picked up rights to air the robot fighting series ROBOT WARS. Filmed in an enormous bulletproof fighting arena that contains dangerous hazards such as fire, spikes, the flipper and the iconic pit, 40 of the top robot combat teams from all over the world compete for Robot Wars supremacy. ROBOT WARS is set for its U.S. premiere on Wednesday, August 8 at 10pm ET/PT. Not only do the robot teams battle it out against each other, they also must avoid the intimidating House Robots, which are three times heavier than the competition’s robots. Aiming to terminate anything that strays into their Corner Patrol Zone – Sir Killalot, Matilda, Shunt and Dead Metal show no mercy as they menacingly patrol the arena ready to destroy. What do you think? Have you seen Robot Wars? Will you watch its U.S. debut? More about: Robot Wars, Robot Wars: canceled or renewed?, Science Channel TV shows: canceled or renewed? I did watch this 18 years ago. I absolutely loved it! Craig Charles is not just a good actor (love Red Dwarf), but also does good as host. I didn’t see Clarkson on there at that time (although I am a fan of his from Top Gear). They aired it for a bit on PBS. Absolutely loved it and I am very excited that they are bringing it to US tv finally! 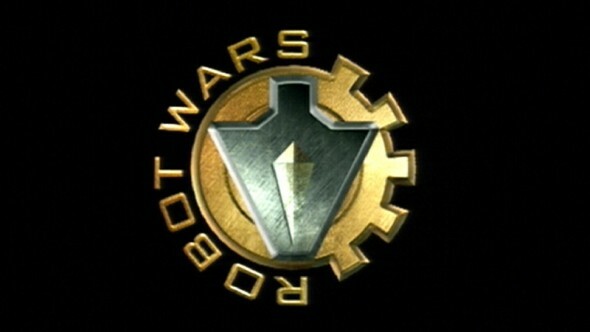 BattleBots and Robot Wars together on one channel, what an amazing combination!! I and my daughter are BIG Battlebots fans, and will definitely give this show a try as well. Yes!!!! I’m super excited about this! I used to love this show as a kid. When they rebooted Battlebots I mistakenly thought it was Robot Wars at first, then was sadly disappointed. So I’m super happy to see this back showing in the states.